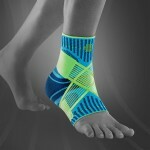 Don't worry about ankle sprains at running. 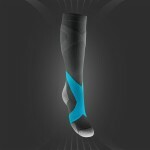 Protect your ankles now! Are you worried about ankle sprains when you are running? Activate your ankles and prevent injuries! You are out on the running trail – and suddenly it happens. All it takes to sprain your ankle is one unfortunate step. Depending on the severity of such an ankle injury, this may lead to a break of several weeks. And ankle pain can even occur without twisting – for example due to excessive strain. 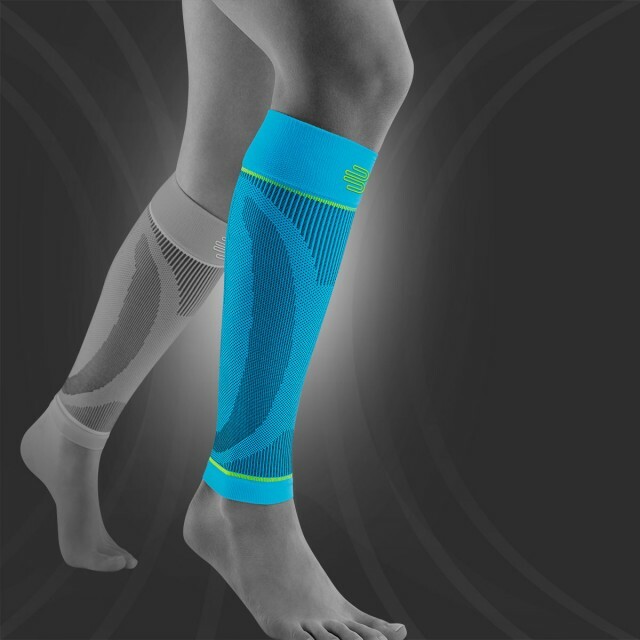 In order to prevent these issues as well as ankle injuries from running, Bauerfeind has developed the Sports Ankle Support Dynamic. 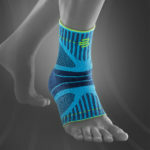 This sports support activates your ankle and, thanks to improved proprioception of the foot, it provides protection against problems that result from too much strain. In addition, you should also strengthen your joints with suitable exercises. The ankle links the calf bone and the shin bone with the bones of the foot. It consists of two joints: the upper ankle and the lower ankle. These two parts of the ankle form a functional unit for lowering and lifting the foot as well as for inward and outward rotation. The ankle is secured and stabilized by a firm capsular ligament complex. Your ankle carries your entire body weight when you are standing, walking or running. It is thus among the joints in the human body that bears the greatest load. To ensure a top performance and thorough enjoyment when running, you will need strong ankles. Strengthen your ankles to protect your feet against excessive strain and injuries. 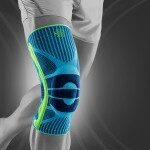 At the same time, this will also improve your gait, as your movements are going to become more dynamic. The following exercises will strengthen your ankles, improve your running style and help you run faster! Heel stand for strong feet: Stand with your back to a wall at a distance of around 30 centimetres. Stand with your feet hip-width apart. Now slowly lean back until your back and buttocks touch the wall. Next pull up your toes towards your shins as far as possible, while keeping your weight on the heels. Then lower your toes until they almost touch the ground. Repeat the exercise 15 times and do two sets. Ball bouncing for extra power: Stand upright and bounce on the balls of both feet. When absorbing the strain, the heels should not touch the ground. When jumping, bend your foot joints and pull your toes towards your shins. Do two sets of 20 jumps each, to begin with. Heel walking for strong foot muscles: For this exercise, you are going to walk on your heels only. The balls of your feet do not touch the ground. Walk for around 20 meters between each set of the exercises described above. This walking exercise will strengthen and mobilize your ankle while also training coordination of your lower limbs. On uneven outdoor running trails, there is an increased risk of twisting on rocks or tree roots. Under this type of conditions, it is therefore a particularly good idea to protect your ankle, for example with the Bauerfeind Sports Ankle Support. The support provides guidance to the foot and it promotes a natural running style by improving proprioception of the foot. The reason for this is that blood circulation is increased thanks to the gentle pressure that the sports support applies with every movement. 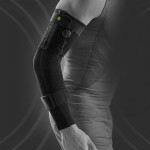 Thus more oxygen is transported to your joints, muscles and tendons. 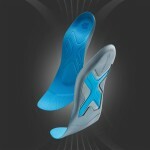 These give continuous feedback to your brain about the movement and position of your feet. 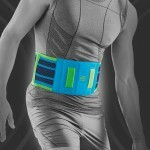 Fatigue and overload symptoms are reduced and you are able to keep running without complaints for longer. The Bauerfeind Sports Ankle Support Dynamic activates your ankle and helps to strengthen the different muscle areas with each movement. 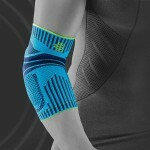 Wear the support for everyday training to improve your performance. By wearing a support you reduce the risk for injuries in situations of intense strain. 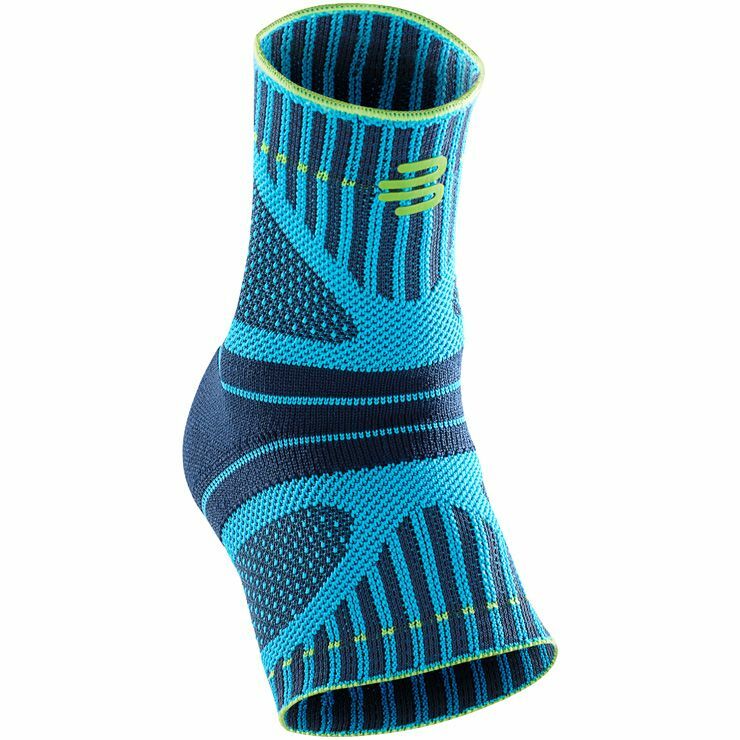 The Bauerfeind Sports Ankle Support Dynamic supports your ankle and provides you with an effective protection against overload. 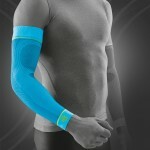 Wear the support during your daily training and protect yourself from complaints due to overload. Of course you don’t want to compromise on freedom of movement when running. 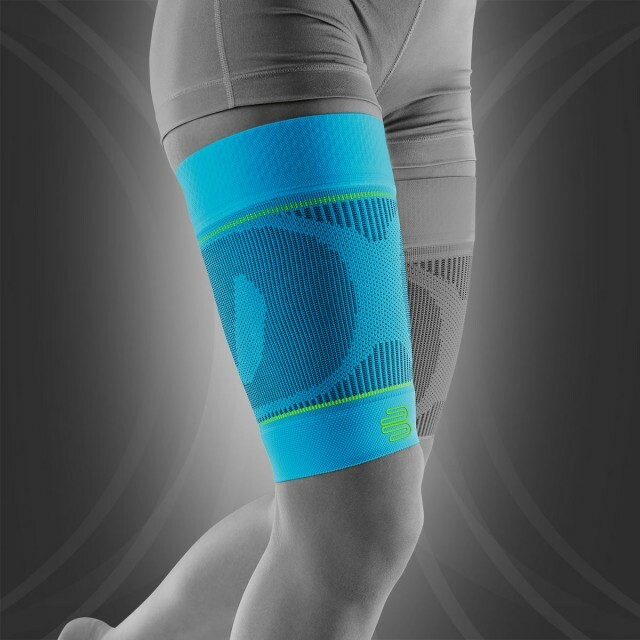 This is why the 3D technology used for the Sports Ankle Support Dynamic allows for an anatomically contoured fit for top wearing comfort while running. The AIR ventilation zones provide for improved air supply when your feet have to work hard. 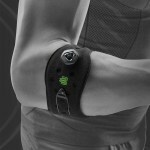 This means that any build-up of moisture due to sweat is prevented. The knitted fabric with its innovative functional zones features optimized firmness while granting maximum freedom of movement. 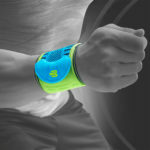 You will feel the sports support as much as necessary, yet as little as possible. Bauerfeind has been developing highly effective medical aids for decades, as well as providing support to many top athletes. The experience gained from both areas have been drawn when developing the innovative Bauerfeind Sports products for athletes. In the Innovation Center, Bauerfeind is conducting ongoing research, to be able to offer the best aids for improving your performance, control and safety during exercise. 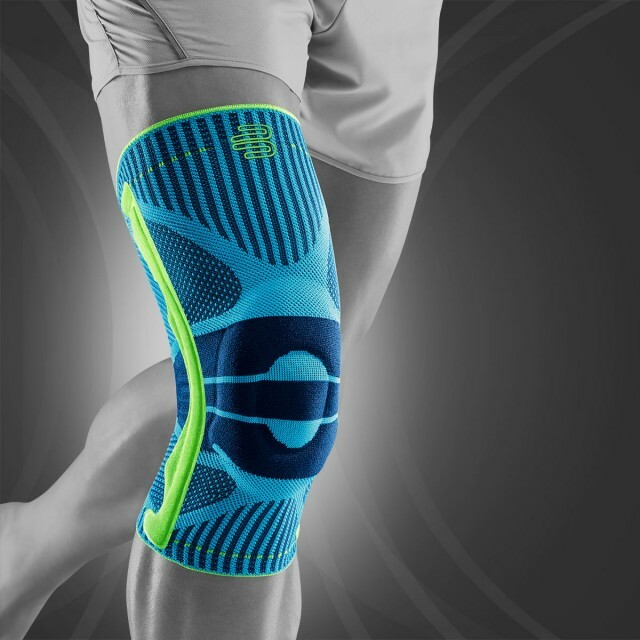 You can, therefore, rest assured that the Sports Ankle Support Dynamic – like all Bauerfeind Sports products – is always in line with the state of the art in sports science. 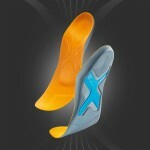 Ready to go with Bauerfeind Sports equipment: for longer, faster, more efficient and safer running sessions.